Special thanks to Pizza Station for extending this food review invitation. 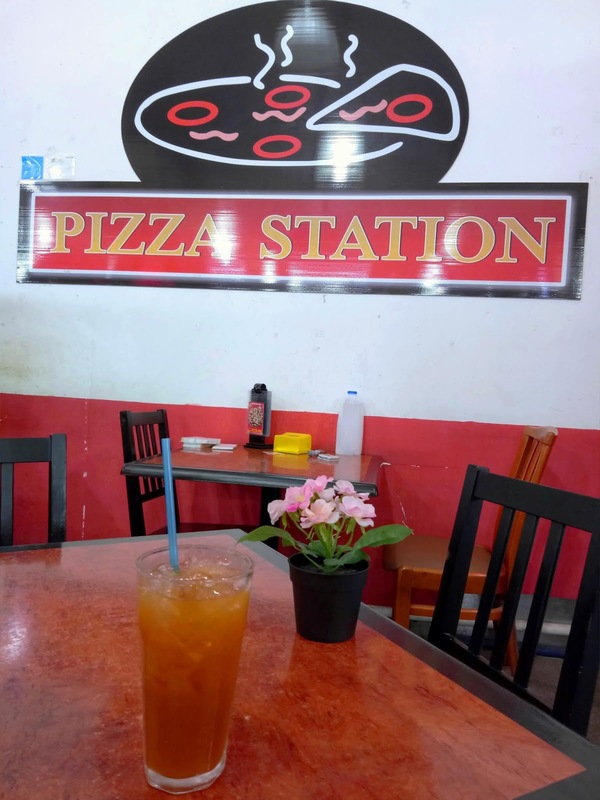 Pizza Station is located at the ground floor of Sunshine Farlim. Opened in 2009, the place is quite popular among local shoppers. Trusted for its consistent taste, Pizza Station has built a steady stream of regulars throughout the years. 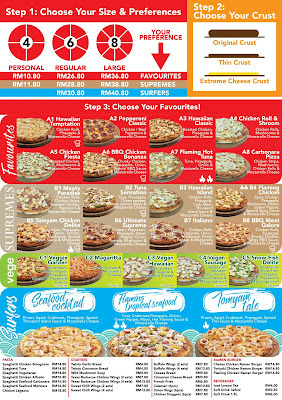 At Pizza Station, there are more than 20 pizza toppings to choose from. 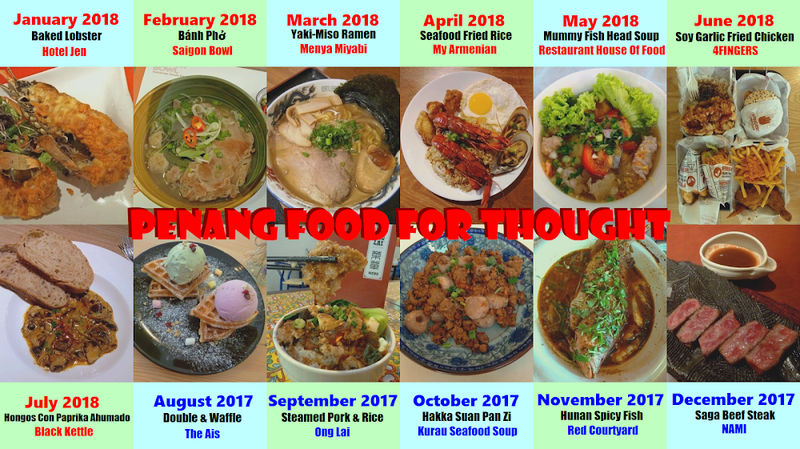 Popular toppings are chicken, beef, seafood, mushrooms and more. Vegetarian pizzas are available too. 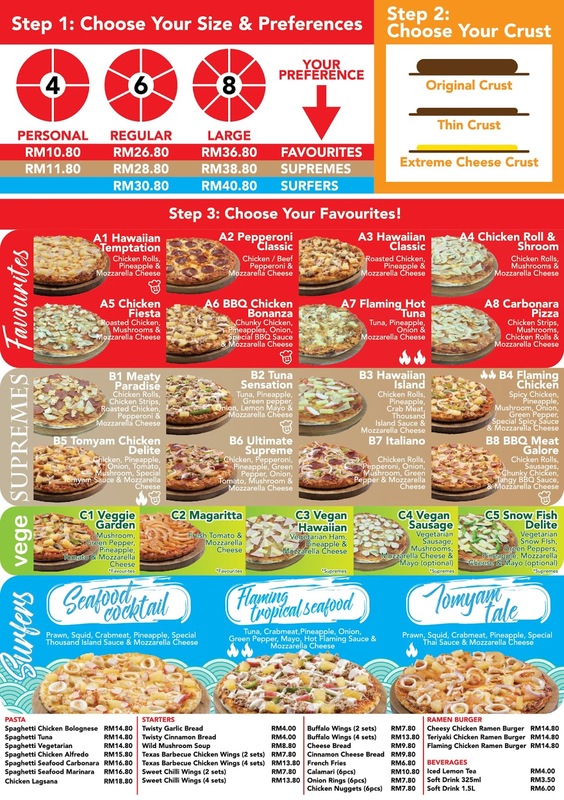 Pizzas come in 3 sizes: Personal (4 slices), Regular (6 slices) and Large (8 slices). 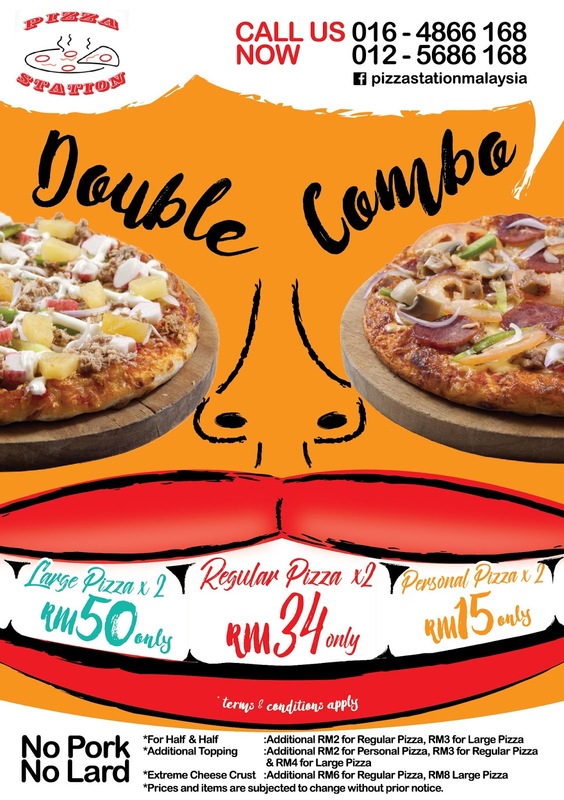 For larger orders, take advantage of Pizza Station's Double Combo where customers can get twice the number of pizzas for just a few extra dollars. 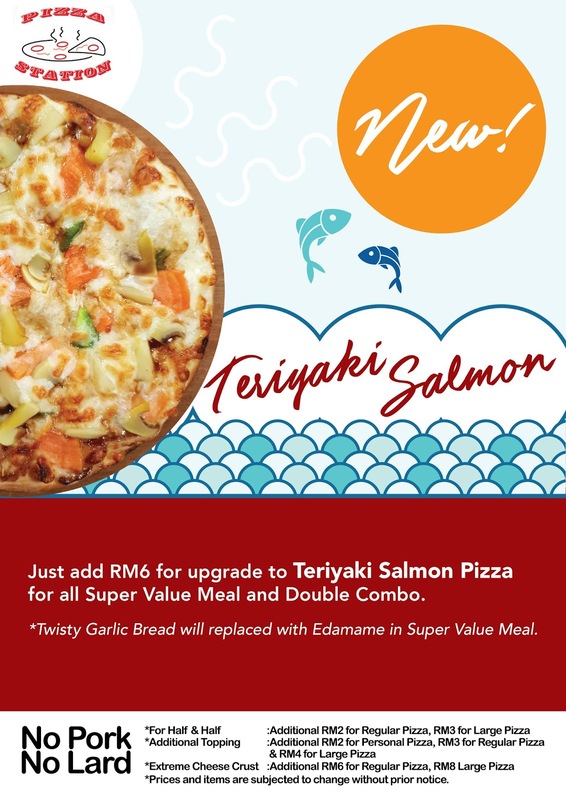 Meanwhile, the Super Value Meal combines pizzas, sides and drinks at discounted prices. 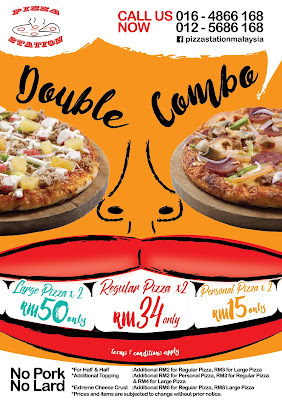 BBQ Meat Galore Pizza (RM28.80 for regular size) is one of the bestsellers here. 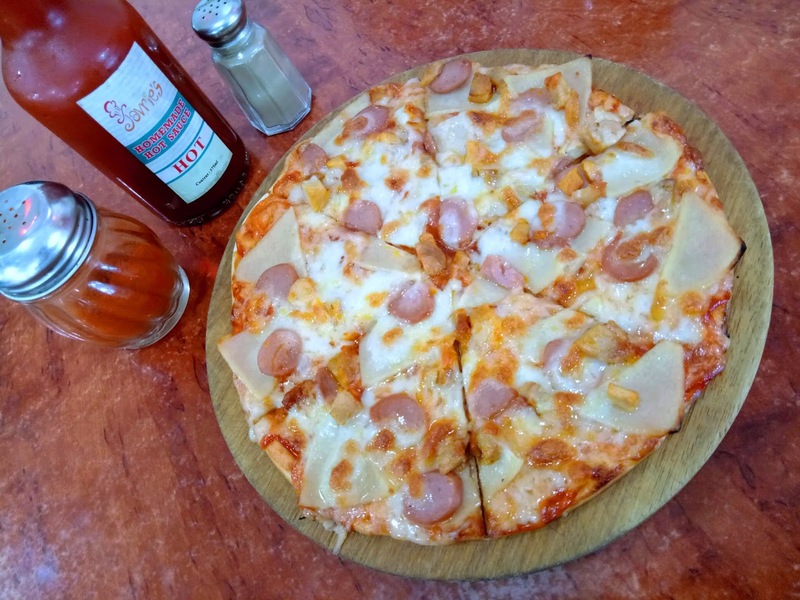 The pizza is topped with chunky chicken, chicken rolls and sausages. Tangy barbecue sauce and mozzarella cheese enhance the overall taste. The pizza is served on a thin crust which has a light crisp. 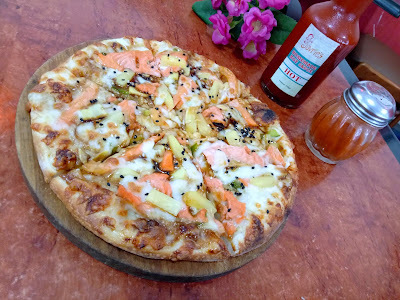 Teriyaki Salmon Pizza is a new pizza on the menu. It contains salmon slices, mushrooms, pineapples, onions, green pepper, sesame seeds, teriyaki sauce and mozzarella cheese. The original crust is thicker so it feels doughier. This pizza goes especially well with Pizza Station's homemade hot sauce. 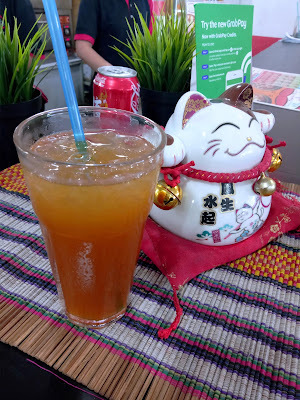 Besides pizzas, Pizza Station also serves pasta, mushroom soup, buffalo wings, ramen burgers, set meals and drinks like Iced Lemon Tea (RM4.00). Neither pork nor lard is used in food preparation. Virtually all pizza ingredients, including the dough and sauces, are made from scratch. 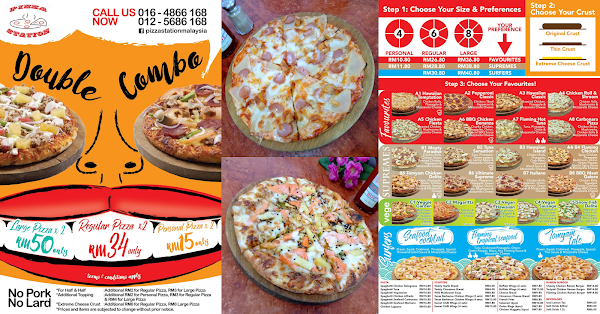 Pizza Station provides food delivery to selected places in Penang - as far as Tanjung Tokong and Relau. 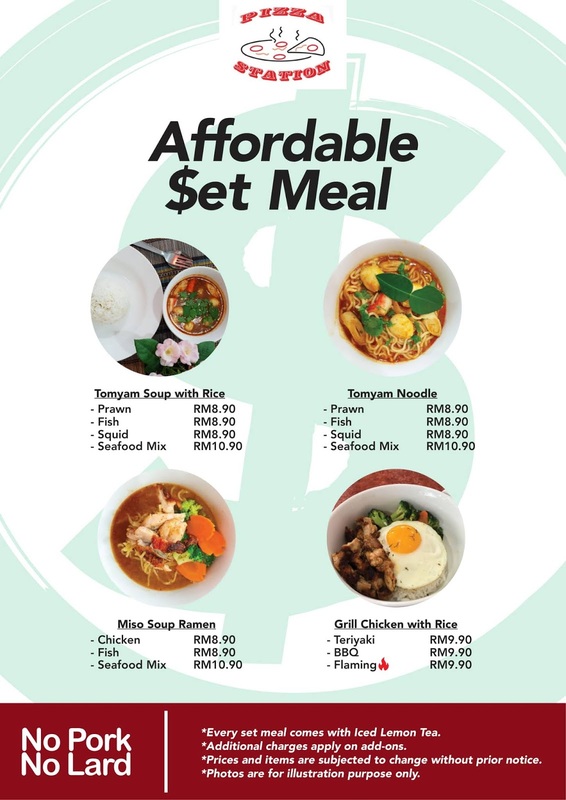 Delivery is free for orders above RM30.00. 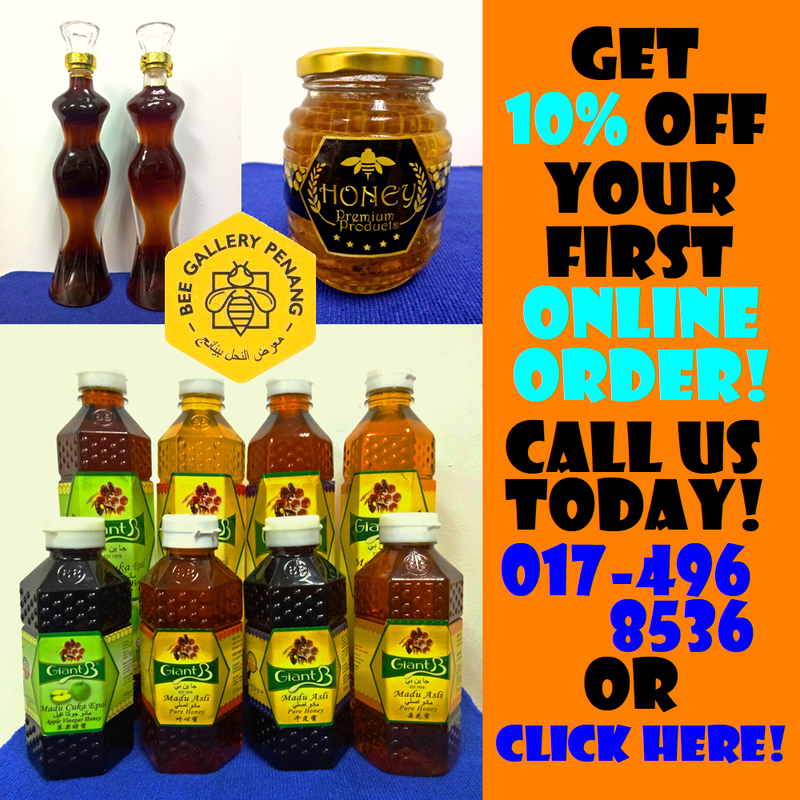 Customers may place their orders through the phone by calling (+60) 16-486 6168 or (+60) 12-568 6168. Directions: Pizza Station is located near the front entrance of Sunshine Farlim. There are free parking spaces around the mall.